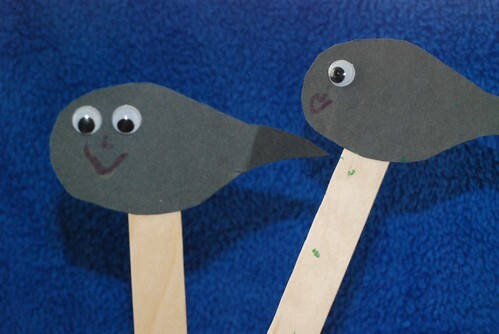 I've been keeping an eye out in blog land for different puppet ideas, since I'm hoping to make more puppets with the kids this summer...so I was super excited to see what Amanda from Impress Your Kids came up with for our read-along. 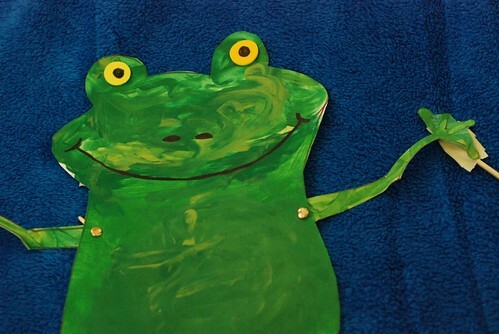 Amanda and her kids made these fun tadpole and frog puppets to go with The Tiny Tadpole by by Judith Nicholls and help her kids learn about life cycles. Head on over for the directions.